Migration brought viticulture to California 300 years ago; the warm days and cool nights along the west coast contribute to perfect growing conditions for grape vines. The industry began commercialising in the 1800s and has grown steadily since. A resurgence in the 1980s led to a boom in popularity for American wines, the effect of which is still felt today. The USA has just over 9,000 wineries; 4,200 of these are in California. California produces nearly 90% of all American wine, with more than 2.5 billion litres of wine made annually. While the Napa Valley is far and away the most well-known Californian wine region, there is much more to discover here. From Eureka in the north to San Diego in the south, California hosts six major wine regions, which comprise counties and federally recognised growing regions known as ‘American Viticultural Areas’ (AVAs). AVAs are distinct regions with characteristics that distinguish their produce from that of surrounding areas. These regions can be any size, and major AVAs can contain smaller ones. The Napa Valley AVA, for example, covers 18 further AVAs. Each bottle of wine produced in California bears a geographical note explaining where the grapes were grown. This could be a county appellation or an AVA. County appellations guarantee that at least 75% of the grapes in that particular wine originate from one particular county. An AVA mark guarantees that at least 85% of the grapes in the wine originate from that region. 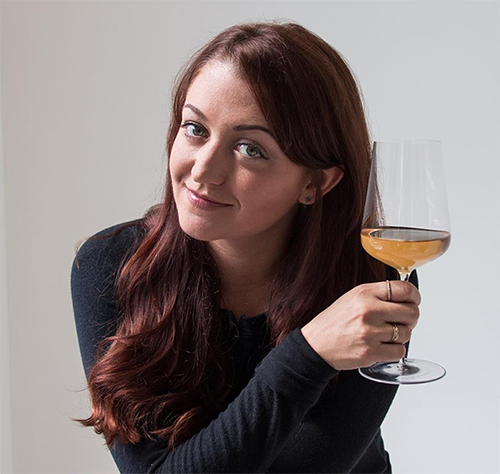 If a wine is marked as ‘Californian’, 100% of the grapes come from within the state. To understand what the labels on your wines mean, have a look at our guide to Californian wine regions below. This is the smallest of the California wine regions. It’s found near the state border with Oregon, and consists of three tiny counties: Siskiyou, Humboldt and Trinity. It is a mountainous, forested region, suited to cool-climate grapes. There is no one specific variety that calls the far north home. The grapes grown here include Cabernet Franc, Malbec, Merlot, Pinot Noir, Zinfandel, Chardonnay, Riesling and Chenin Blanc. This region covers the area actually known as ‘Wine Country’ – a space containing the counties of Napa, Sonoma, Lake and Mendocino. The landscapes are cool and beautiful. In Lake County, vines take root in the red, rocky soils around dormant volcano Mount Konocti. In Mendocino, 60% of the county is covered by redwood forest, with 100 wineries finding space among the trees. Again, the grapes grown here are varied. 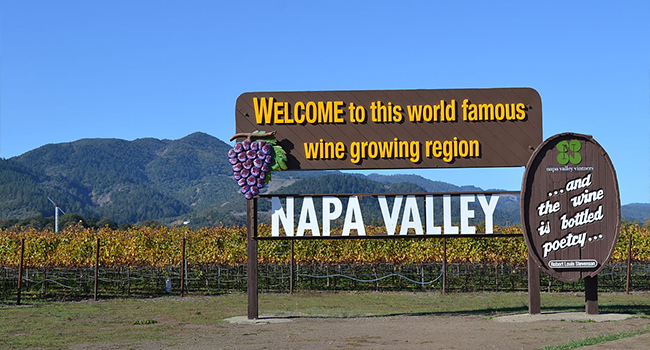 More than 30 grape varieties are cultivated in the Napa Valley alone. Cabernet Sauvignon is Napa’s most common grape, with the red variety accounting for 40% of production. Chardonnay is popular throughout the north coast; in Sonoma, 29% of the grapes grown are this variety. This is a region of moody weather that stretches from the San Francisco bay in the north to Santa Barbara in the south. Down the coast, the icy Pacific winds prevail, but the vines here are strong. The earliest grapes were planted by Franciscan monks in the 1700s, and many of these vines survive today. 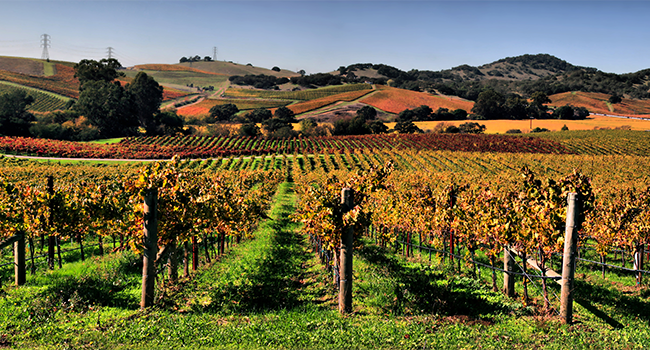 Red varietals dominate the central coast; 80% of the Paso Robles harvest is red. Cabernet Franc is popular, and Zinfandel, Syrah and Pinot Noir are strongly represented in the region. The Golden State’s inland valleys are America’s foodbowl. More than 8% of the country’s agricultural yield is produced on this sliver of land, with wine grapes being just one crop among hundreds. Unlike the cooler climates of the coastal regions, the inland valleys are warm, sunny and fertile. The production rates in these valleys far outstrips its neighbours: three quarters of the state’s total grape yield is produced in this region. No single variety or estate is key – these are ‘workhorse’ grapes, which contribute the bulk of general ‘California’ appellation wines. The foothills are stark and glorious. Remnants of ‘wild west’ history dot the landscape, and the vines are relics left by Gold Rush hopefuls. The varieties grown here are somewhat surprising, deviating from the classic American Chardonnays and Cabernet Sauvignons. Here you can find Barbera, a northern Italian variety, as well as Sangiovese, which experienced a significant boom in demand during the 1990s. Viognier and Syrah, Rhone Valley specialities, are also grown in the Sierra Foothills. The Southern California wine region covers Los Angeles, but if you want ‘star’ grapes, you’ll have to venture outside Hollywood. The wine country here stretches all the way to San Diego, where the state’s oldest grapes can be found. 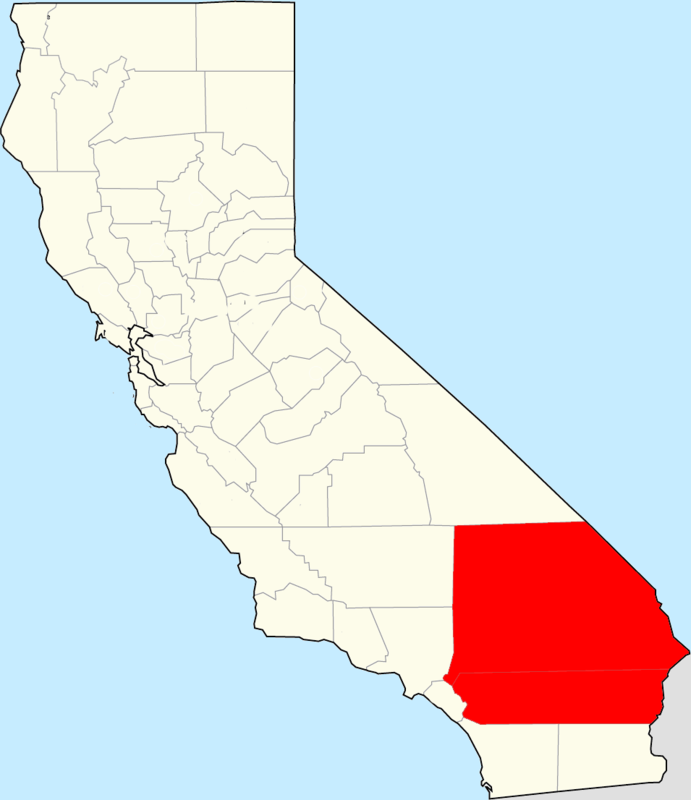 The Temecula Valley is a place of particular interest, found midway between San Diego and the Cucamonga Valley. Vines have been cultivated in Temecula since the 1700s, and, although more than 50 varietals are planted here, Italian and Rhone grapes take pride of place.